Welcome to the Algebra 1 Polynomials Unit! This unit is a brief introduction to the world of Polynomials. We will add, subtract, multiply, and even start factoring polynomials. Click on the lesson below that interests you, or follow the lessons in order for a complete study of the unit. 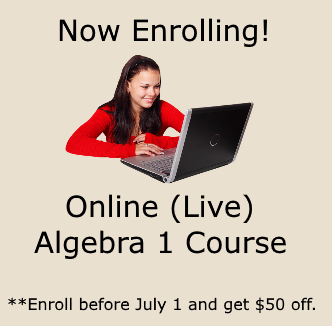 As you study this unit, if you find that you need more help, please visit the Algebra Class E-courses. 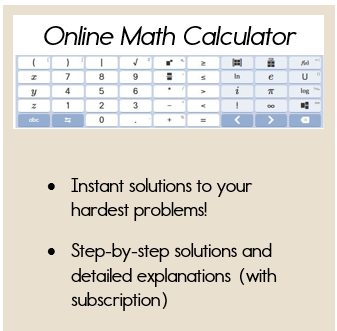 You will find many examples on video, and a lot of practice problems with step-by-step answer keys. So, what is a Polynomial? This is definitely not a word that we hear everyday. A Polynomial is a finite sum of terms. This includes subtraction as well, since subtraction can be written in terms of addition. Let's take a look at a couple of examples and this will make more sense. As you can see from the examples above, we are simply adding (or subtracting) two or more terms together. Polynomials can also be classified according to the number of terms. Let's take a look! REMEMBER: Terms are separated by a plus sign or a minus sign. Let's take a look at one more definition! The degree of a polynomial with one variable is the highest power to which the variable is raised. Take a look! Polynomials in one variable should be written in order of decreasing powers. If this is the case, the first term is called the lead coefficient. The exponent of this first term defines the degree of the polynomial. Now, for one last definition, which is actually a review! If two or more terms have exactly the same variables, then they are called like terms. Okay... now you are ready to dive into the polynomials unit! If you are new to Polynomials, I would suggest starting with adding polynomials.